The Chancel Choir sings a wide range of anthems, from classic to contemporary, and presents special concerts during the year. 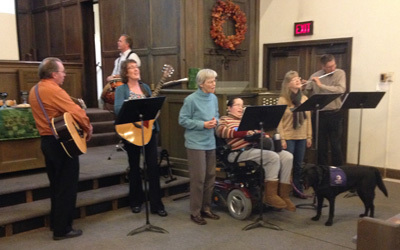 The Worship Band is an eclectic combination of musicians & singers who lead the music during the 10:30am service. 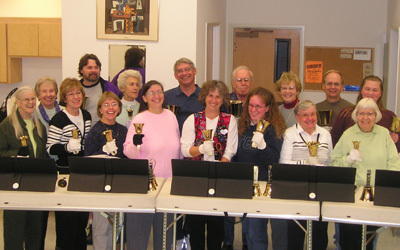 The choir plays a 4½-octave set of English hand bells and plays in worship once a month, as well as concerts and festivals. 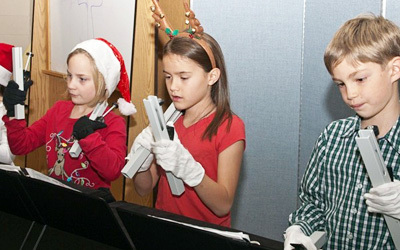 A wonderful offering for children (grades 1-6) who would like to learn how to play hand chimes. 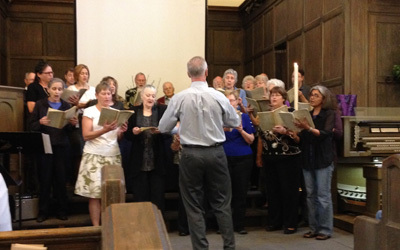 Summer Choir begins in mid June. 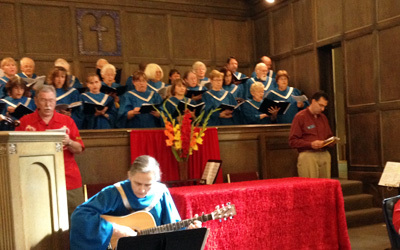 All are welcome to come at 8:30am to prepare an easy anthem for the 9:00 am worship service.